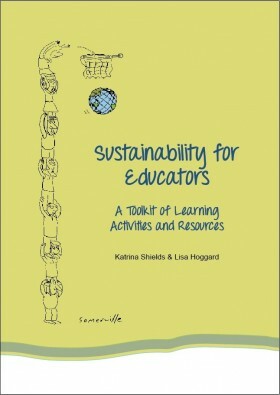 Adult educators Lisa Hoggard and Katrina Shields have written a book based on their passion – how to prepare and motivate people to build a sustainable future. The pair met in a classroom in 2011 as adult learners studying a Swinburne University course in Education and Training for Sustainability. ‘The course had a practical focus and there were fifteen of us, and everyone just kept coming up with brilliant ideas for learning activities. Katrina and I thought wouldn’t it be wonderful to pool all these activities and share them with our group.’ The idea grew from there. If their group of fellow students found it useful, the pair thought, why not produce something for a wider audience? With support from Byron Community College, they successfully applied for funding from the federal government’s Skills for the Carbon Challenge. 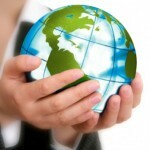 The result is: Sustainability for educators. 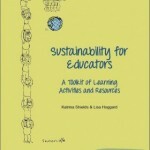 A toolkit of learning activities and resources, a manual of practical strategies and activities for sustainability education. Each author brought her particular skills and experience to the project. Lisa says her own focus has been on helping organisations to change their culture. Co-author Katrina Shields says the book aims to inspire. Lisa says they aimed to produce a book of benefit to teachers, trainers and facilitators across a range of settings including schools, vocational training organisations, universities, communities and businesses.